From a Cook’s Country “Lost Recipe” column (although which issue it appeared in, I’m afraid I don’t know) This detail is clearly not authentic, but the Cook’s Country version calls for using frozen butter that has been grated on the large holes of a box grater. You can do this step in advance, but keep the butter in the freezer until you are ready to use it. Position oven racks in upper-middle and lower-middle portions of oven, and preheat to 200ºF. Once the oven comes up to temperature, leave it on for 10 minutes and then shut it off. You will use the warm oven as a rising spot for the biscuits. Stir the yeast into the warm milk and let stand 5 minutes, or until bubbles begin to rise to the surface. In the meantime, whisk together the flour, sugar, and salt in a large mixing bowl. 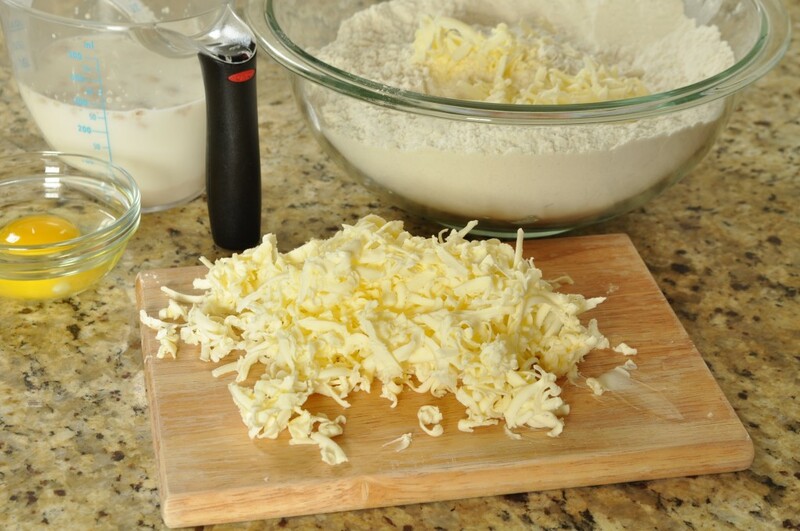 Gently toss in the grated, frozen butter. 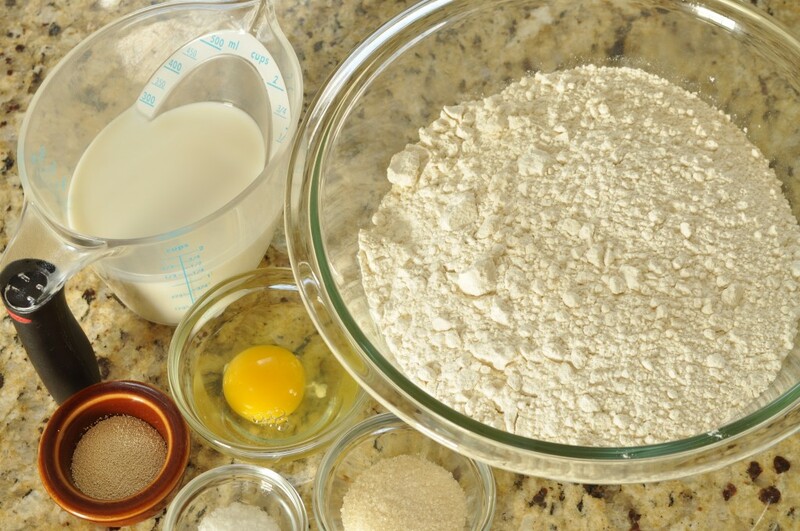 Beat the egg into the milk-and-yeast mixture and pour the mixture over the flour. Stir together until a stiff dough begins to form. 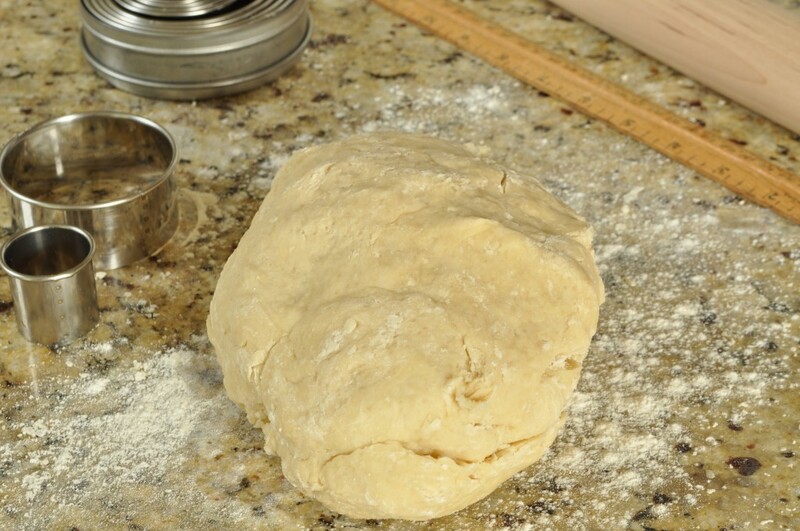 Turn out onto a lightly floured surface and knead until the dough comes together, about 1 minute. Roll out into a ¾-inch thick circle and cut out sixteen 2 ½-inch rounds. Arrange on the prepared baking sheets. Gather together the scraps and re-roll them into a ½-inch thick circle. Cut out sixteen 1 ¼-inch rounds. 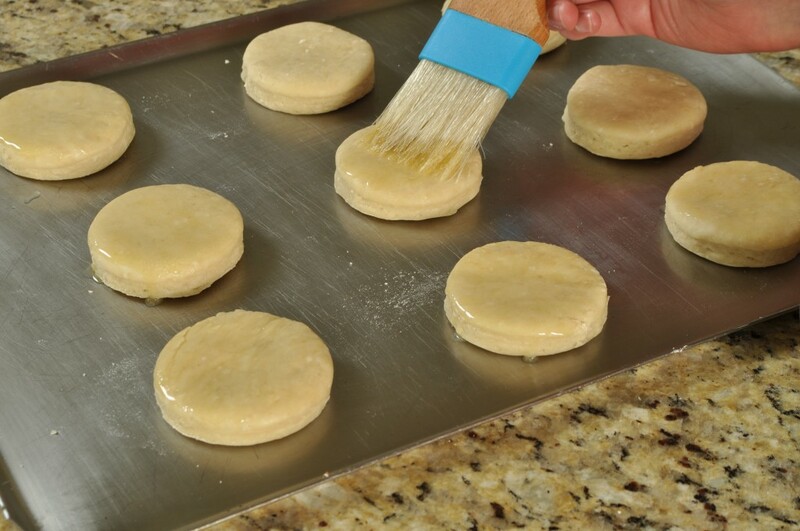 Brush the larger rounds on the baking sheets with melted butter. Set a smaller round on top of each large round, positioning it slightly off-center. Brush the top of the smaller rounds with the remaining melted butter. Cover the trays with kitchen towels and place them in the warm oven. 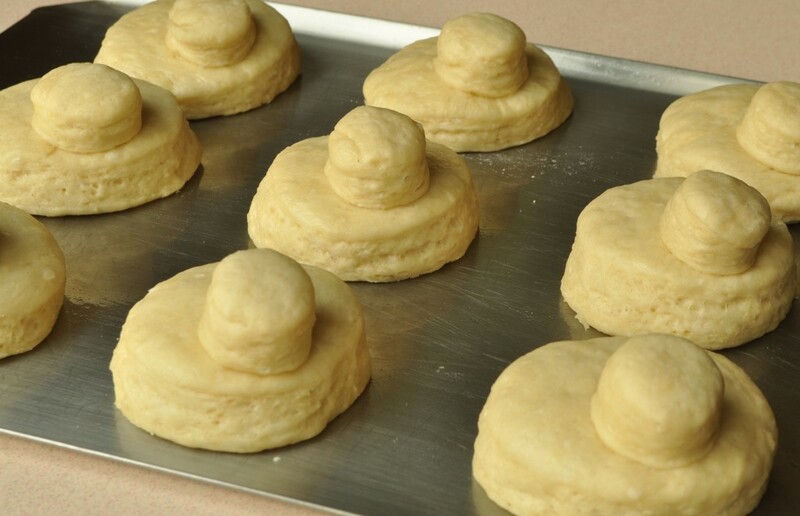 Let the biscuits rise for 25 to 30 minutes, or until puffy and doubled in size. 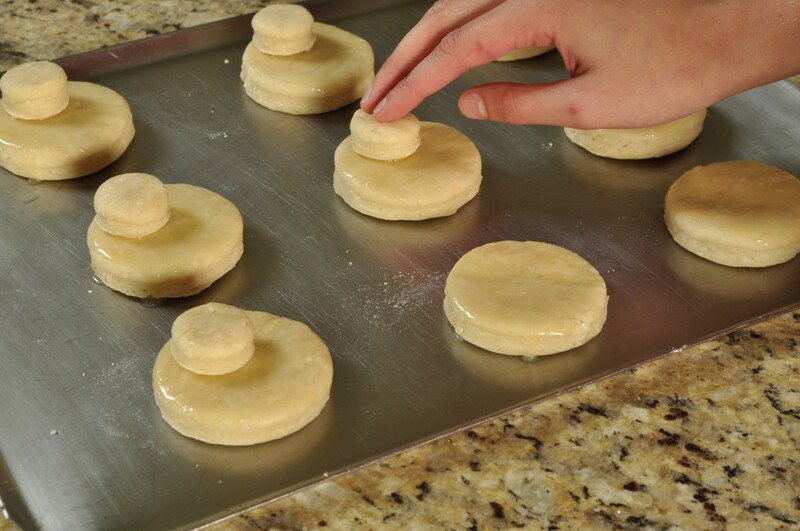 Remove the trays from the oven and preheat it to 375ºF. 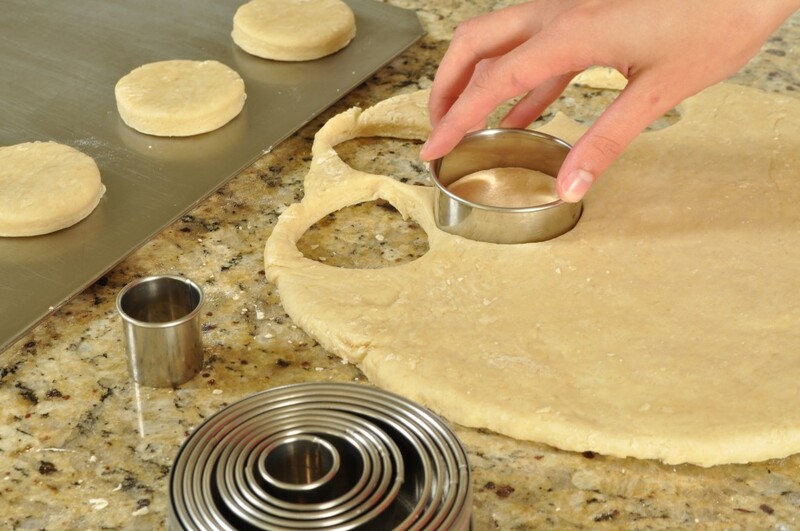 Once the oven comes up to temperature, return the biscuits to the oven and bake for 15 to 17 minutes until golden brown, switching the position of the trays halfway through. Serve hot. 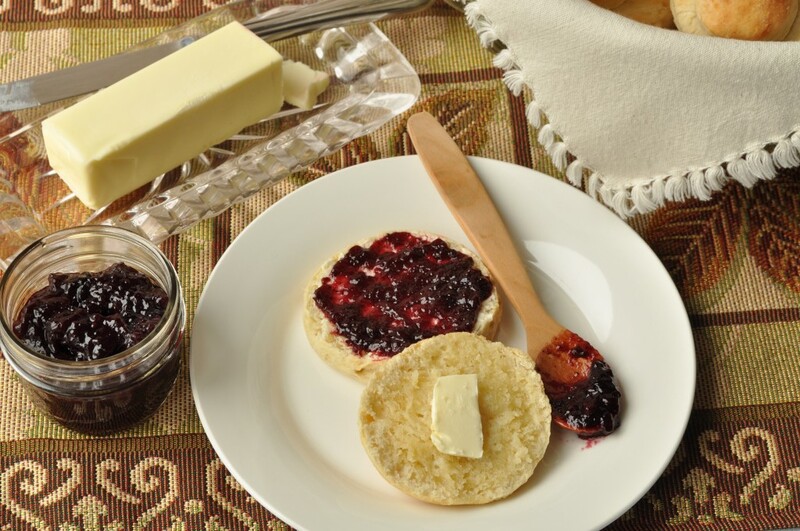 Butter and jam are completely optional—these biscuits taste marvelous on their own. 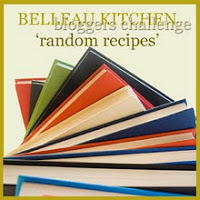 wow, a great and informative post and they look so delicious which is a win-win in my book, thank you so much for entering into this months random recipes, Im glad you enjoyed it and hope you play along again! Thank you, Dom. I definitely intend to “play along” with Random Recipes again. I’ve already written all the names of my cookbooks on slips of paper so I can do random drawings–much easier than having to pull all the books off the shelf! these look lovely – when I first saw them I thought they were going to be little piggies – but I can definitely see they are quaker bonnets now. Wonderful. Thank you so much, Karen. They are adorable little biscuits, aren’t they? I have to admit to giggling over their quaint shape when I baked them. PS: LOVE the step by step photos too Alexandra! I’m so glad you appreciate them. It makes all the rushed washing-off-of-hands to grab the camera worthwhile! PPS: I used to live in Elizabethtown in PA many years ago! In Pennsylvania Dutch country and in Lancaster county too. Really! It truly is a small world. This area of Pennsylvania is certainly beautiful, and the agricultural heritage makes it an ideal place for the kitchen-obsessed. I lived in England for three years as a child; my father (a U. S. air force officer) was stationed at an RAF base outside High Wycombe, in Buckinghamshire. I miss it terribly. I hope to be able to move back someday. My pleasure, Elizabeth. 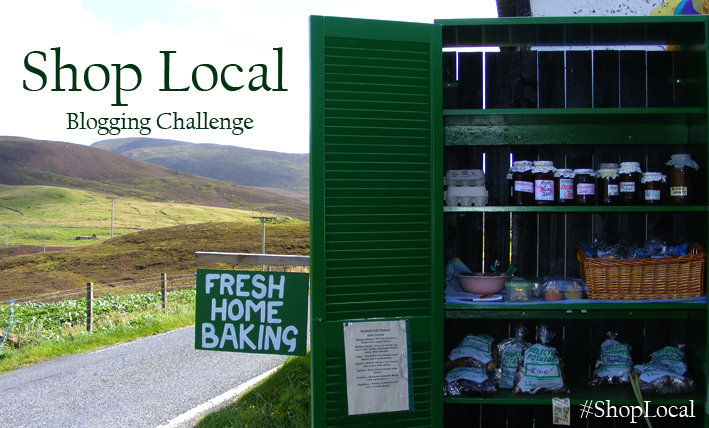 Shop Local is a wonderful challenge, and I look forward to joining it again soon! These Quaker bonnets are so pretty and it’s great to hear some of their history. The biscuits themselves seem very like a yeasted version of our scones and sound very interesting. 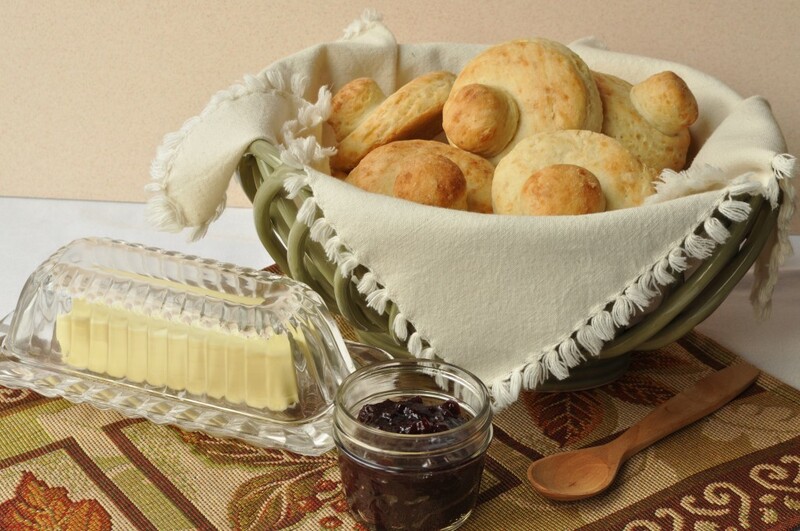 Yes, our biscuits are very similar to scones–although usually not quite as sweet. We’re more likely to add herbs and cheese than currants or sultanas! Thank you! I’m glad that you enjoyed it. (I certainly had fun writing it and researching the recipe.) The yeast surprised me as well. 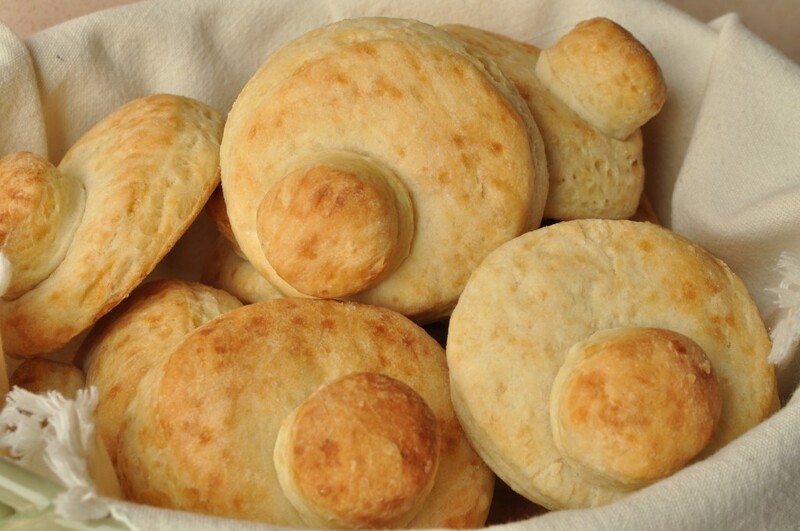 Biscuits, just like scones, are usually made with baking powder or baking soda. But since cooks didn’t have those leavening agents back in the old days, all scones and biscuits must have been made originally with yeast. 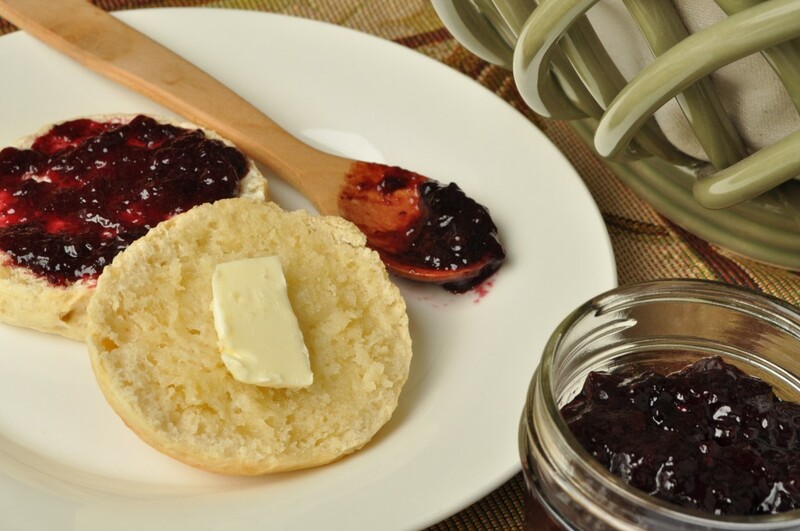 Imagine having to use yeast and wait for the dough to rise every time you wanted to make a batch of scones! Ah, the benefits of the modern kitchen . . .